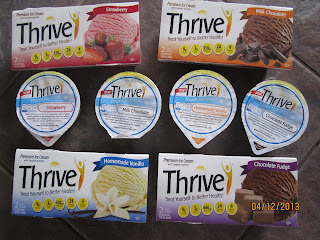 Since most people love ice cream, what a great idea to take it to the next level, and make it healthy. Thrive Ice cream does just that. Not only is it delicious ice cream, but you can compare the ingredients to what's in an ensure shake. Strawberry was the household favorite. It's creamy and delicious and you would never know it has 9 grams of protein, 3 grams of fiber, 530mg of potassium, 24 vitamins and minerals and 4 probiotics. Riley has been underweight for the last couple of years, and not because he doesn't eat, he just is really REALLY active. I love knowing that at night when I give him this ice cream, that he is getting extra vitamins and nutrients. The vanilla flavor is made with eggs, and is super delicious, it reminds me of a thick creamy custard. I have to say, I did not get to try the milk chocolate flavor, the day the box arrived in the mail, I was at a blogger meeting and when I came home, there were 3 chocolate covered faces and some explaining to do! They all enjoyed it though. The chocolate fudge was a very rich chocolatey ice cream, very very full of chocolate flavor. 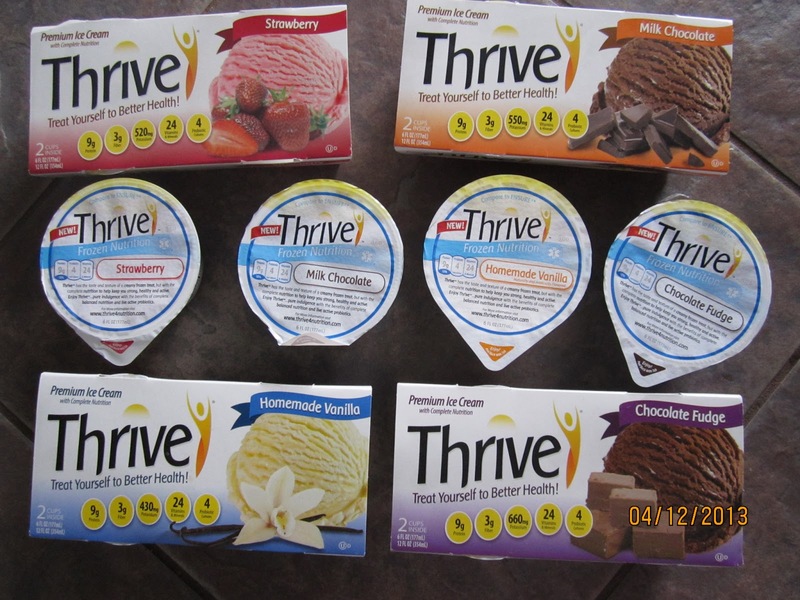 You can purchase Thrive Ice Cream at stores like Meijer and Publix. I would love it if you would follow them on Facebook or Twitter.